I really, really love music. 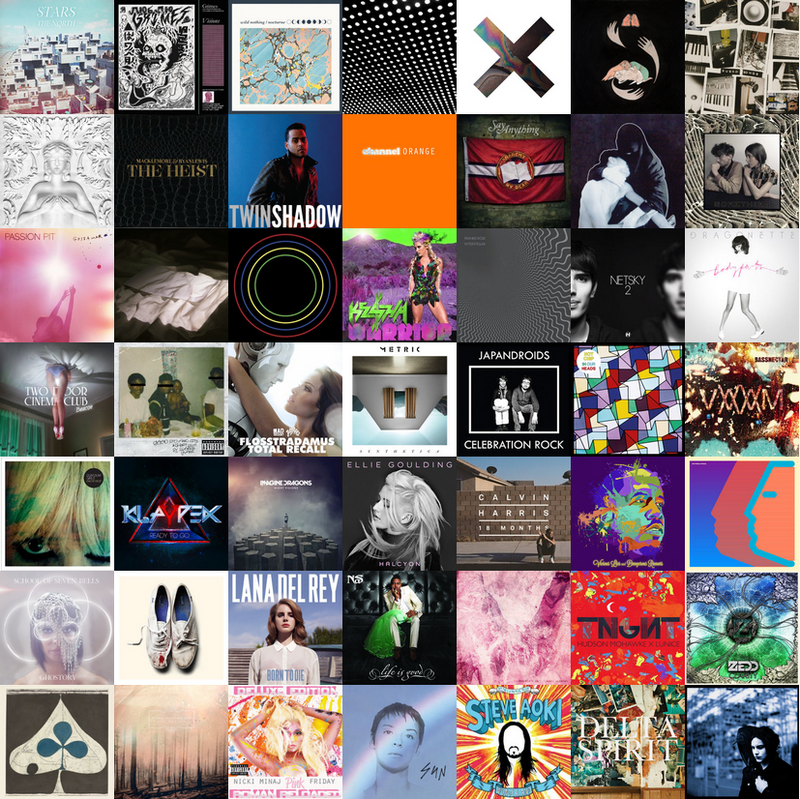 I listened to a ridiculous amount of new music over the past year. As the year progressed, I started listening to less electronic/bass music and started listening to more indie/dream pop and hip-hop music. I listened to a lot of new artists and re-discovered some old favorites. To pick my favorite albums released this year, I relied heavily on my last.fm profile stats and my “weekly” music blog. Enjoy the list and Happy New Year! If you enjoyed this post, you should check out my music blog, Album of the Week. Posted: December 22, 2012 at 4:16 pm in personal.